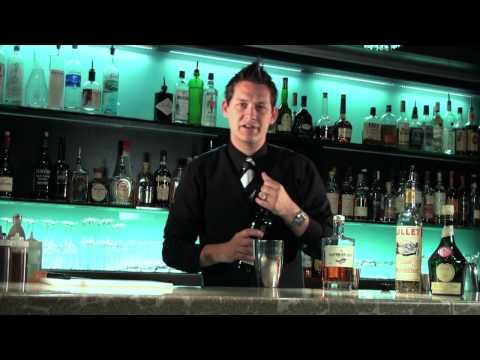 How do you find the best cocktail bar in town? For Seattle, I did my research and tried to figure out where I wanted to go. For Victoria, I didn't bother. I was there for my wife's family reunion, so I was just along for the ride. Still, I had to figure out the best place to get a drink. I went to the bar in my hotel, which was terrible. The bar, that is, not the hotel. I sat at the three-person bar and asked for a martini. The female bartender said, "okay," and that was it. So she turned and started prepping my cocktail glass. As she was doing it, she dropped the bottle of gin. I wondered. But then I saw on the very small liquor shelf that they had Campari, so I said, "Oh, you have Campari. What do you make with it?" Her reply made me skeptical: "I don't know, what would you like?" I gave her a chance. "How about a Negroni?" Her reply made me want to leave: "Okay, what's in it?" So I told her, and she made me a serviceable one for $8. As I was leaving, I asked the host at the restaurant, a young guy, where the best place to get a cocktail was. He told me it was the Vista 18, the rooftop bar on the top of the Chateau Victoria, where the guy makes great drinks and the view is amazing. So of course I went. I met Joe, a self-described bartender, not mixologist, although he did call himself a molecular mixologist at one point. He was the host but also the bartender on the night that I went (the second night I was in town. Yes, I was running a bit behind.). Joe made me a drink he created called a Jeff Ginstrum, which was an Old Fashioned made with gin. He created it for an old jazz guitarist who played there and drank Old Fashioneds, but who wanted something a little different. It was good. A bit sweet, but still good. After talking to him for a bit about cocktails, etc., he confessed that bartending wasn't his entire life, and he couldn't believe that I had not been to Clive's Classic Lounge, the downstairs bar in the same hotel. The guy there, he told me, was a crazy good mixologist who made all of his own mixers and stuff. Shawn was his name, and cocktails were his life. So I finished my Jeff Ginstrum and headed downstairs, where no one was at the bar. It was 10:00 PM on a Sunday night, and no one was there, so I feared that they would close on me. I noticed one couple sitting in the back of the room, but no one else in sight. I asked for a menu, and Shawn immediately started asking me questions about what I like. I confessed my love for amaros, and he seemed to brighten, pointing me to page 5 of his cocktail menu. An entire page devoted to the bitter stuff. I brightened, my evening having gotten five times better. He asked me if I like Fernet Branca, and I told him that I liked it but not by itself. As a mixer, it was good, but as the entirety, it was too bitter. He told me I had to try the Fernet and Coke, that it was practically the national drink of Argentina. I balked, not wanting to order something so simple. Then he told me that in Argentina, they use real Coke made with sugar instead of high fructose corn syrup, and it has a different flavor than the U.S. and Canadian Coke, so...Shawn made his own cola just to go with Fernet. I looked askance. "You make your own Coke?" Yes, he told me. He made it so the spice notes complement the spice notes in Fernet, and the bitterness is decreased. Absolutely the best Fernet drink I have ever had. Spicy and sweet with just a pleasant bitterness that covered the mouth. Amazing. By this point, a young guy had sat beside me, and Shawn set a bottle of Ri1 in front of him. They obviously knew each other. I learned that the guy was a chef at another restaurant in town, and this was his watering hole. Then three bartenders came in and sat down on my other side. They had just gotten off work, and this was where they came, too. Then two other restaurant owners and chefs came in and sat down at the bar. One had a bourbon flight. The bar was full. We spent the rest of the night talking about cocktails and the history of whiskey, trying to figure out the distinctions between whiskey, bourbon, rye, Canadian whiskey, and moonshine. By this point, I had ordered a Cynar Americano, a mixture of Cynar and Carpano Antica, minus the club soda. Shawn told me that Europeans didn't normally use club soda in their Americanos, so he didn't, either. Much better. A drink I have subsequently made again and again. Then someone bought shots of Averna, and I ordered a bottle of Les Trois Pistoles, one of the amazing beers produced by Unibroue. Shawn got the bottle and then said that he thought it required something special. It is a $15 beer, after all. Shawn disappeared back into the kitchen. The guy beside me started snickering. "What's he doing?" I asked. "I think he's going to saber it." He took another swig of his whiskey. "What's he doing? Getting a freakin' sword?" "Hah! Now that would be cool." Shawn reappeared with a very large, machete-like kitchen knife. He didn't say a word, but all six of us at the bar were rapt. Shawn started hitting the bottle very lightly with the machete, and then WHACK! the top of the bottle was gone. A clean cut, no glass anywhere. The beer started bubbling a little, and Shawn simply poured it into two glasses, smiling. I picked my jaw off the floor and managed to say something like "Awesome..."
I don't know if was the theatricality of the opening or the beer itself, but that was one of the best beers I have ever had, with the nutty, fruitiness of a trippel. Opening it with a machete had to make it taste better, I'm sure. The night was over. They had closed two hours ago. I walked out with the bartender and made my way back to the hotel. 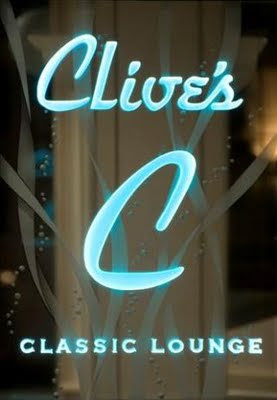 Needless to say, I spent two more nights at Clive's Classic Lounge.